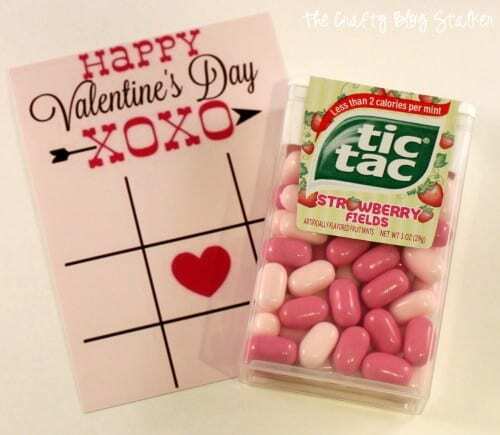 Hand out this fun Valentine Tic Tac Toe for Valentine’s Day. 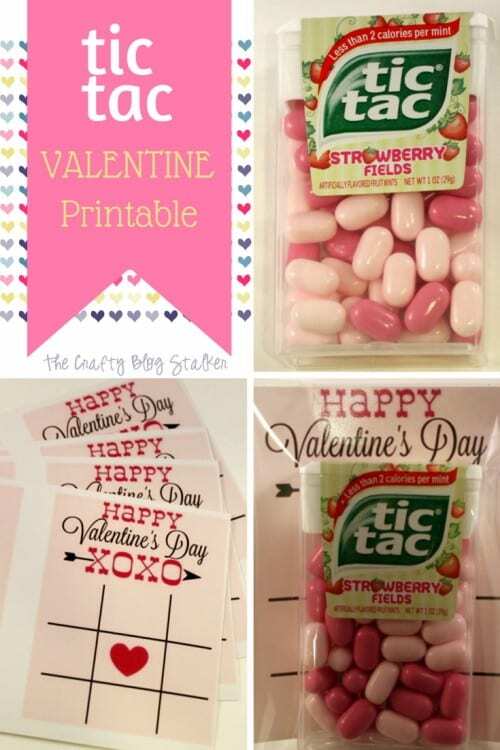 All you need is the FREE Printable and Tic Tacs. An easy DIY craft tutorial idea. Do you love Valentine’s Day? I do! If you have been following my blog for awhile you may have noticed that I love giving little gifts for just about any holiday, and Valentine’s is perfect for giving fun little gifts to my coworkers and friends. I recently found this project on Pinterest and instantly knew what my friends were going to be getting for Valentines Day. I copied the idea pretty much exactly from Nest of Posies. She even has a FREE printable file so really most of the work is done for you! Click here to get the free printable XOXO Tic Tac Toe Valentine Cards. I actually bought the tic tac Strawberry Fields on Amazon. I have seen them at grocery stores but it is hit or miss on whether I will be able to find them or not so it was easier to buy them online. When I had them printed they came two to 4×6 print. So I cut them down to about 2.5 x 3.5 inches. 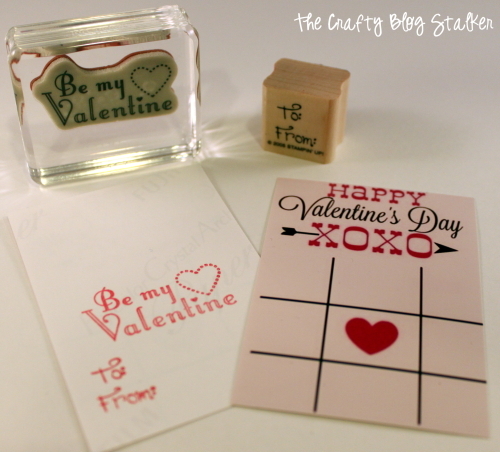 Photo paper also has a glossy texture to it, but I still wanted to add a little-stamped greeting to the back of the cards so I used pigment ink and some cute Valentines stamps to create my greetings. 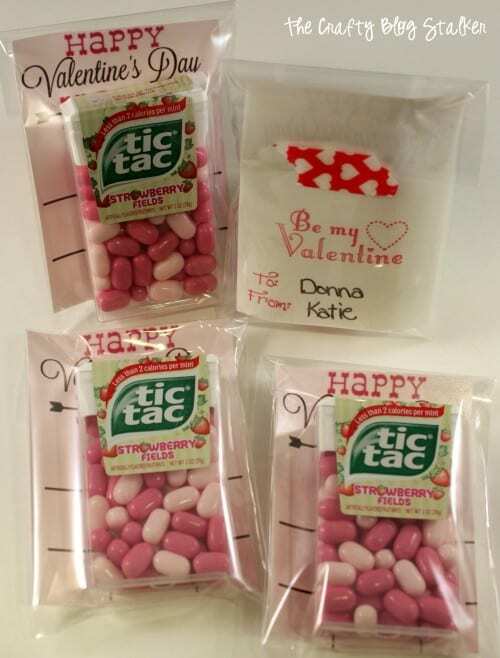 I then slid the card and the Tic Tacs into little Clear Flat Cello Bags that I was also able to purchase on Amazon. Folded over the top and shut with a strip of washi tape. Yay! Valentine gifts done! Super easy and super cute, now that’s my kind of Valentine gift. Do you have a favorite Valentine that you have received? Share and leave a comment below! 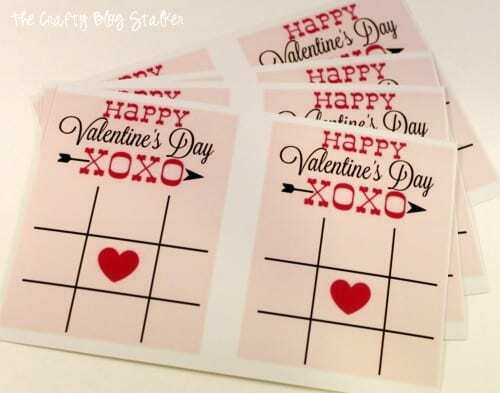 SAVE HOW TO MAKE TIC TAC TOE VALENTINE PRINTABLE TO YOUR FAVORITE VALENTINE’S DAY PINTEREST BOARD! How to Make a Sweatshirt with Iron-on Vinyl and the Cricut EasyPress 2 - I'm So Freaking Cold! These are fun and adorable! Thank you Rebeckah – I am so glad that you like it. Adorable gift idea for Valentines Day! Pinning to share! I’ll be featuring your post on the next Brag About It party! Have a great week! This is awesome! I love making Valentines with my kids. It’s too much fun. How cute I love these… I shared on my Facebook page 🙂 Thanks for joining this week !!!! Absolutely adorable idea! Thanks so much for sharing at #funtasticfriday ! Thank you Paula. Thanks for the fun linky party. These are adorable! I love the fun play on words! Thanks for sharing on the Small Victories Sunday Linkup! Thank you Heather! I am so glad that you like it. 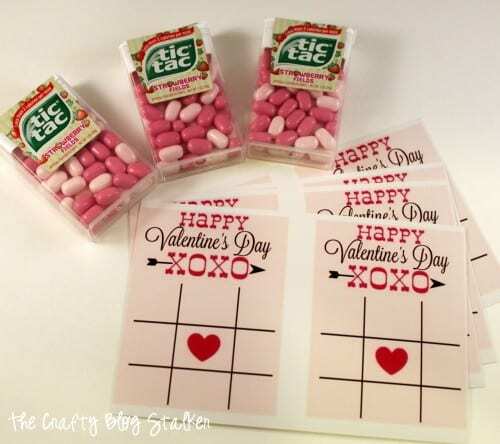 Omgosh what a delicious and adorable Valentine idea! I love it. Thanks for sharing at Merry Monday. Really Cute — can someone send me a link to print out the template?